A nonprofit organization is taking the state to school with its campaign for new strategies and policies to improve Michigan’s public education system performance. 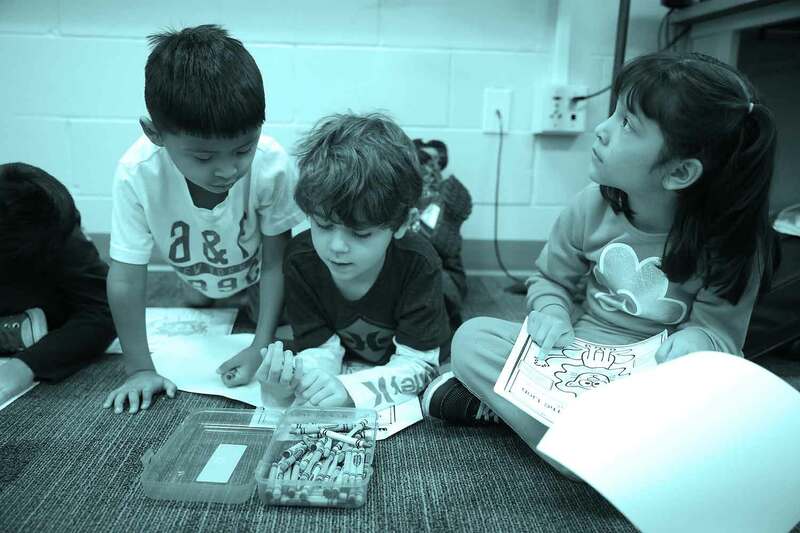 Education Trust-Midwest, a statewide education policy and advocacy organization based in Royal Oak, released a 2015 State of Michigan Education Report May 19, marking the official launch of its Michigan Achieves campaign to make Michigan a top 10 education state by 2030. Sarah Lenhoff, director of policy and research for Education Trust-Midwest and co-author of the campaign, said the organization releases a report every spring monitoring the performance of Michigan public schools. “This report is really aimed at looking where Michigan has been over the last decade and projecting out, based on our previous achievement and improvement, where we are likely to end up compared to the rest of the nation in 15 years,” said Lenhoff. 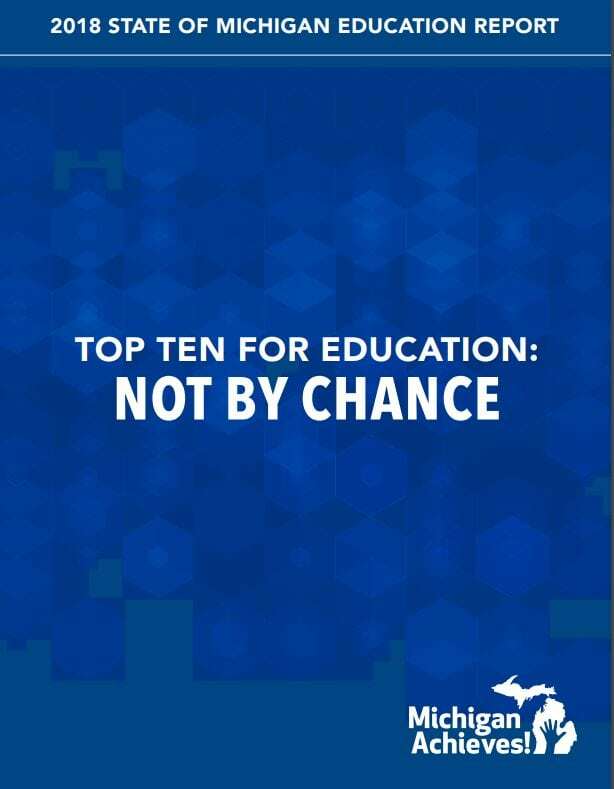 The “Michigan Achieves: Becoming a Top Ten Education State” report not only measures the state’s current educational performance and progress from kindergarten through post-secondary education, but also outlines key strategies the state needs to implement to improve student learning and accountability to alter Michigan’s current path of landing in the bottom 10 states by 2030. Education Trust-Midwest informs Michigan residents on the status of the state’s public education system by examining grade-appropriate benchmarks and learning conditions, and comparing student performance to leading states using the National Assessment of Educational Progress. Metrics used include kindergarten readiness, fourth-grade reading achievement, college and post-secondary enrollment and attainment, teacher attendance, K-12 school funding equity, teacher salary equity, and student attendance and out-of-school suspensions. “We have fallen from 28 to 38 in the country in fourth-grade reading, which is a really important measure of learning because if students aren’t learning proficiently by fourth grade, then they are much less likely to graduate from high school,” said Lenhoff. Other key highlights in the report include Michigan’s public education system being ranked in the bottom 10 in terms of funding equity; more than 20 percent of African-American students having been suspended one or more times in 2011; 46 percent of teachers being absent for more than 10 days from 2009 to 2010; and Caucasian students ranking 46th in the nation for NAEP 2013 scores. By focusing on initiatives and strategies of leading states such as Tennessee, Florida and Massachusetts, Lenhoff said Education Trust-Midwest has evaluated research and best practices to develop principles in which state leaders should be investing for educational improvement. 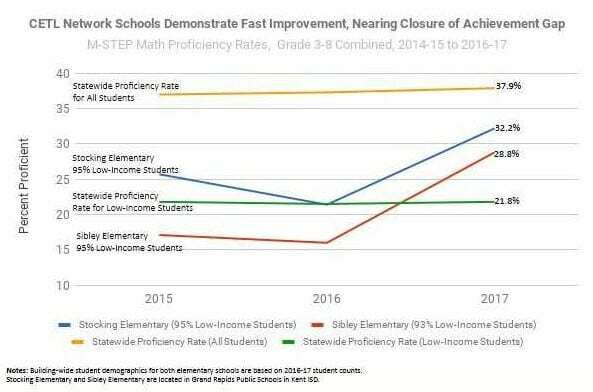 “We know improving statewide education systems can’t happen overnight, but we actually have some really good examples in the report of states that have really turned things around on an improvement trajectory,” said Lenhoff. Education Trust-Midwest’s report outlines four strategic areas to transform Michigan’s public education system: effective teachers and principals; equitable access to rigorous coursework and instruction in early literacy and Michigan’s career- and college-readiness standards; accountability for student learning, including charter operations and authorizers; and improving opportunities for all students to learn. Although the state adopted new college- and career-ready standards several years ago, Lenhoff said, Michigan didn’t provide adequate training or support to teachers to change their practices. “There are local districts that have done what they can to help teachers get on track with these new standards. Tennessee trained virtually all of their teachers on the new standards for about $3 million by using external providers to train high-performing teachers in the state, and those teachers then became the coaches to their peers,” said Lenhoff. Lenhoff cited Grand Rapids Public Schools as one of the Michigan school districts that has taken the initiative to adopt best practices, such as its own evaluation system for teachers. Education Trust-Midwest will participate in the Mackinac Policy Conference May 26-29 to speak about the report with business leaders. 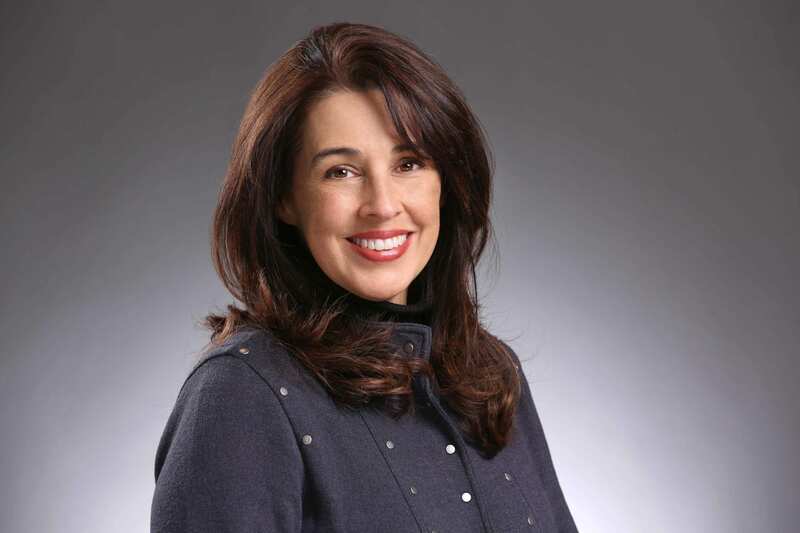 Not only will the campaign focus on building relationships with business leaders in the Detroit area, fostering interest in state policymakers, but also the West Michigan area plays an important role, as well, according to Lenhoff. By 2020, Education Trust-Midwest recommends Michigan should implement the following initiatives: pilot and implement effective new teacher and principal induction strategies, particularly for high-poverty urban and rural communities; overhaul the state accountability and support system to be more effective; pilot and innovate new models of school scheduling and use of time to allow for extended learning time; and develop new state delivery systems to play a role in leading high-leverage strategies and targeted investment. “The main thing is that it is possible to get to the top 10 by 2030. We have seen other states in that kind of timeframe and we have clear action steps to get us there,” said Lenhoff.